Selling a house after a fire? We pay cash for homes all across Oklahoma. We buy a lot of houses in Oklahoma each year. One of the common scenarios that comes up is someone wanting to sell a house after a fire has damaged some or all of the house. We’ve bought many fire-damaged homes. Some needed to be torn down, some could be saved and renovated. If you are thinking about selling a house after a fire, give us a call to see if we can work something out. 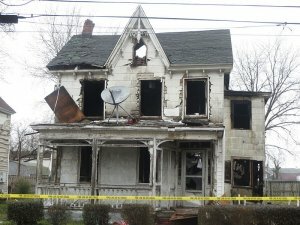 In the mean time, we want to give you some tips on what we’ve learned from buying a lot of fire damaged homes. We know the rules, we know the insurance game, we know the repairs it takes to get a fire damaged house back up to code and livable. Please, please, PLEASE….read these tips and call us BEFORE selling a house after a fire. Selling a house after a fire can be an exhausting task. Sometimes people let the house sit for months or a year before actually selling it. This is not a good idea. While the house is already worth less since it has fire damage, if you let it sit empty, all kinds of things can go wrong. People can break in and damage the house further. Even worse, people can break in and start living in your house. People living in empty houses have to stay warm and with no gas/electricity, they start a fire. This could be fire #2 for you. Weather (rain, wind, snow) can mess up a house very quickly and add wood rot and mold to your list of problems. Animals can make homes in your house. While that may seem cute, they can be a real nuisance when they start biting, chewing, and scratching everything from wood to wires. Not only that but your costs and stress go up too the longer you wait. Where will you live after your house has been damaged by a fire? A rent house? Hotel? 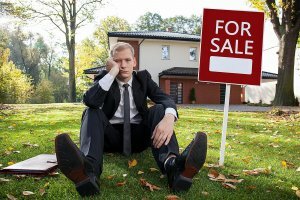 It’s stressful living in a temporary place for a long period of time so don’t wait forever before trying to sell a house that was burned by fire. If your house was damaged by a fire, I hope you had insurance. If you did, then the insurance company is probably getting ready to write you a check. While this is a good thing for you, the insurance company doesn’t like writing checks. They will try to pay you as little as possible and get the ordeal over as quickly as possible. It’s a game we have played many times with them and we go as far as to hire a special insurance adjuster just to deal with the insurance companies. However, you don’t have to finalize the claim with the insurance company BEFORE you sell your home. 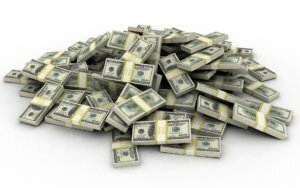 Often times, you can end up with MORE money in LESS time this way. Here are two scenarios to help explain this. Let’s assume your house was severely damaged by fire. The value of the house as-is is $25,000. The house is salvageable though, it will just require a LOT of repairs….. Scenario 1 – You let the insurance company know you had a fire. They come out, take a look, and add up the damage. After months of back and forth negotiation and nagging, they are finally ready to pay up. They tell you that after they depreciate the value of your house in perfect condition because it is 30 years old, they will write you a check for $45,000 to repair the house. You can use that money to repair the house OR anything you want, it’s up to you. You could take that insurance check, sell your house to us for $25,000, and walk away with $70,000. Sounds like a winner right? Scenario 2 – You get this $45,000 offer from the insurance company but don’t take it. You sell us your house for $80,000. You also give us the rights to negotiate with the insurance company for months to finalize the claim and collect a check. We hire our special insurance adjuster to play hardball with the insurance company until they pay fairly for the damage and repairs that NEED to be done to the house. We might end up getting them to pay us more than $45,000, we might not. However, it is our time and money spent negotiating with the insurance company, not yours. You get $10,000 more than you would have gotten with half the work. Just remember that the insurance company is trying to pay you the least they can and move on as quickly as they can. You have to decide if you want to deal with them and play their games, or take a big check and call it a day. Tip #3 – If your house is severely damaged and unsafe, it is on the city’s watch list…..
You never want to be on the city’s watch list. The city knows if your house had a fire. Their inspectors will check out the house to determine if it is unsafe and dilapidated. If they do deem it unsafe, you will have to fix it. 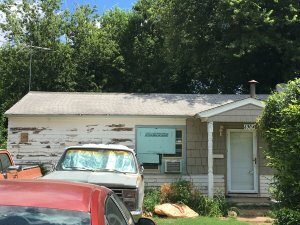 If you don’t fix it, they will clean it up for you….for thousands of dollars which gets filed as a lien against your property. Also, if the house sits as a nuisance or unsafe building for too long, the city will tear it down completely and send you a bill for this also. Speaking of city inspectors, your house will have to be inspected by them to make sure it is all brought up to code. If you don’t follow the rules, you might have issues down the road when you try to sell this home to a new buyer. It’s always a good idea to pull the correct permits, hire the right people, and follow the city’s rules in these cases. Selling a house after a fire is near impossible to do when your buyer is an average Jane or John Doe. Your average buyer views painting as a big chore. How do you think they react when they find out they are buying a home that was damaged by fire? Don’t forget that even if you remodel the house, you have to disclose that it was damaged by fire when selling it. This alone will make it to sell to a normal buyer wanting to live in the home. This is where we can help…. We have bought many houses that were damaged by fires and know the rules, regulations, and risks. We pay cash often so you don’t have to worry about bank financing falling through if the house is severely damaged. We purchase all houses we buy 100% as-is. Even better, you don’t have to clean or repair a thing. If you want to leave all the stuff still in the house behind, we don’t have a problem with that. Hopefully these tips have helped you out if you are considering selling a house after a fire. We are here to answer any other questions you have and if you wish to sell, ready to make you an offer on your house. You can call/text us any time at 405-473-4901. You can also fill out the form below and someone from W Properties will contact you within 24 hours.